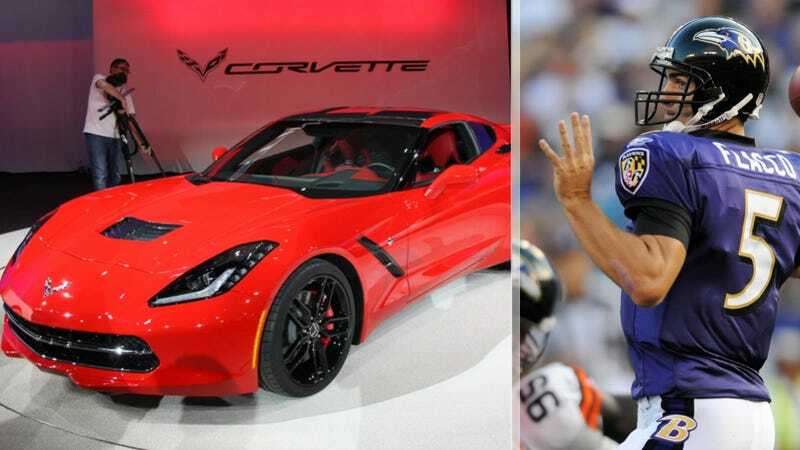 Ravens quarterback Joe Flacco just won the Super Bowl and was named MVP. He will receive a 2014 Corvette for his troubles. Good for him. After throwing more than 300 yards with three touchdowns and no interceptions, I'd say Flacco earned it. Hey Joe — Baltimore isn't far from D.C. Feel free to swing by and let your favorite Jalopnik writer take it for a spin. I'll be gentle, I promise.